I am all about design…and COMFORT! 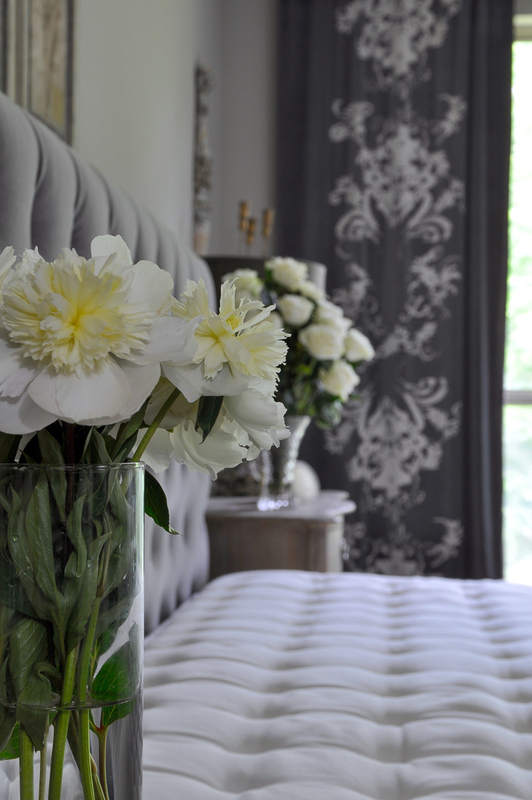 Before we dive into that topic, let’s discuss the oasis that should be your master bedroom. Pleasing aesthetics should be an essential component of interior design. This room should be comforting and an escape of sorts from the stresses of the outside world. 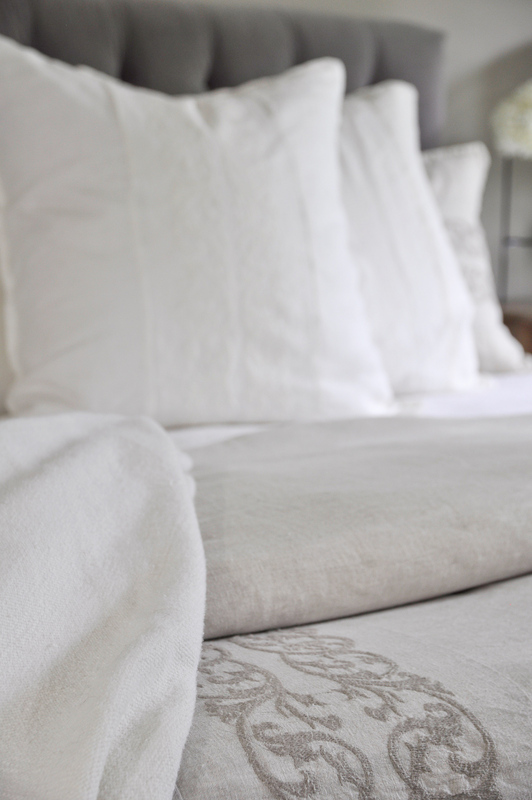 Our beds should invite us to relax and enter a cozy world of perfect sleep. 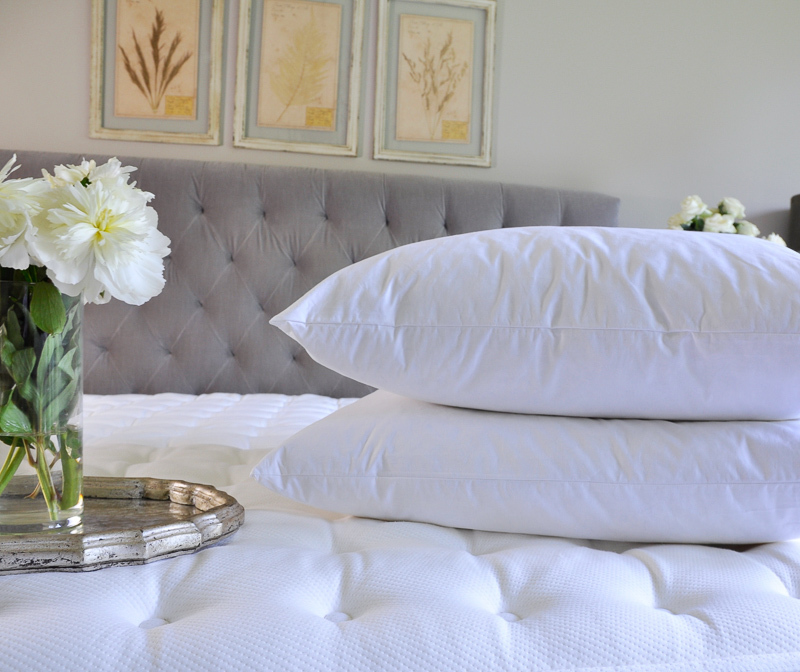 To add comfort, coziness and luxury to the bedroom, I always use down inserts in our pillows. You cannot beat the soft feel and durability of these inserts. 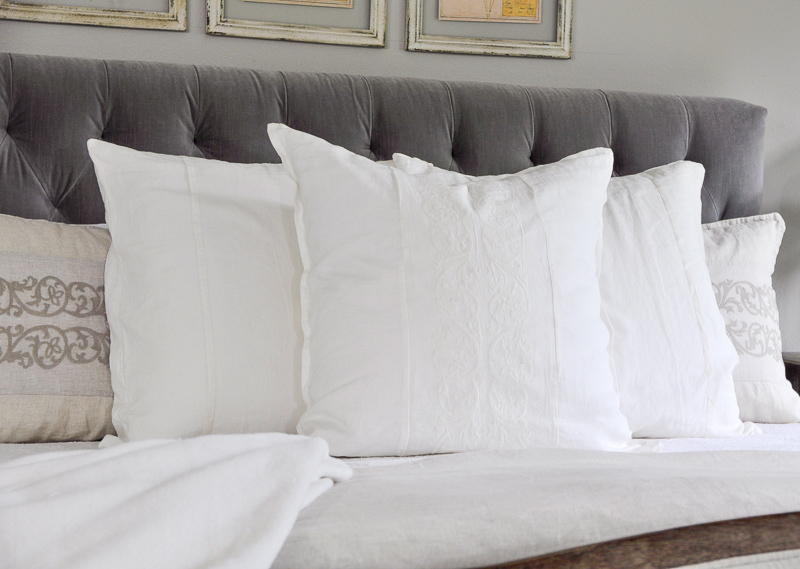 When combined with the breathability of linen shams and pillow cases, the look and feel is simply dreamy. Speaking of linen, it is my choice for all of my bedding. It is not just durability that linen is known for; it is one fabric that has extremely smooth texture and a naturally muted luster that is both beautiful and elegant. Recently we decided to embark on the mission of selecting a new mattress. Now, I’m not trying to get too personal with you. 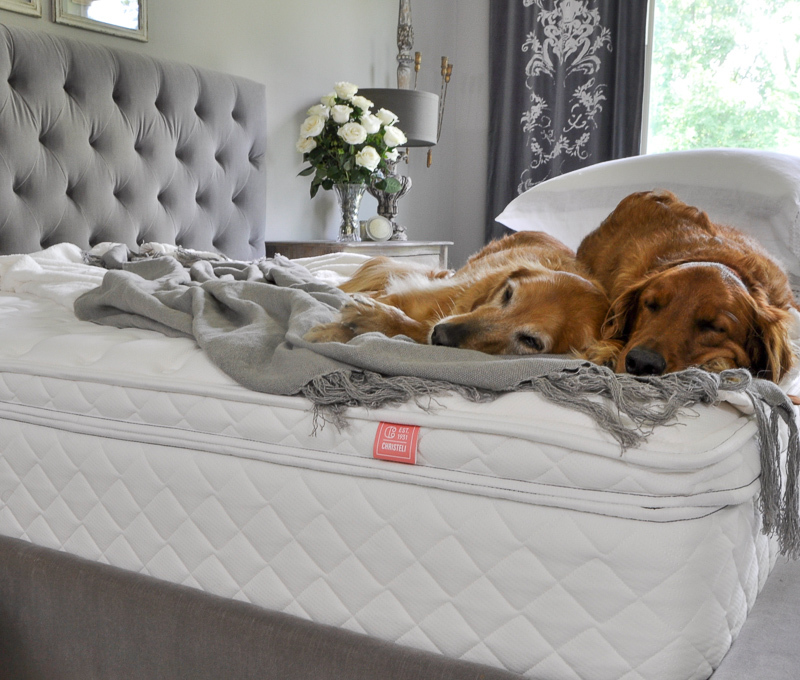 But, when was the last time you replaced your mattress? The last mattress we purchased was in 2005. And the experience was less than stellar. I remember walking into the store and rotating from one mattress to the next. We would lie on one after another for a minute or two. “What do you think of this one?” This process would repeat itself for the next hour or so. We narrowed it down to a couple of options and made a decision. The aforementioned was the decision making process we went through to invest in a mattress for what ended up being the next 11 years. There just had to be a better way! We started researching online and came across various manufacturers including Christeli. This company was founded 81 years ago and is based in Greenville, SC. We knew we wanted a memory foam mattress but did not feel like shelling out $3000-4000 for one. We were immediately drawn to their quality which I will address a bit later. Also, how nice is it to offer a 50 night in home trial? While they offer plenty of options, we loved the classic, luxurious look and feel of the Astoria. This was the mattress we ended up selecting as we felt it best met our needs within our budget. It is one of the most comfortable and luxurious mattresses I have ever slept on. A final note about this company: they employ a philanthropic approach as part of their business platform. For every mattress sold, they provide 10 meals to those in need. I just love companies that give back. Here is the finished product. I certainly hope it looks as cozy and comfortable as it feels. 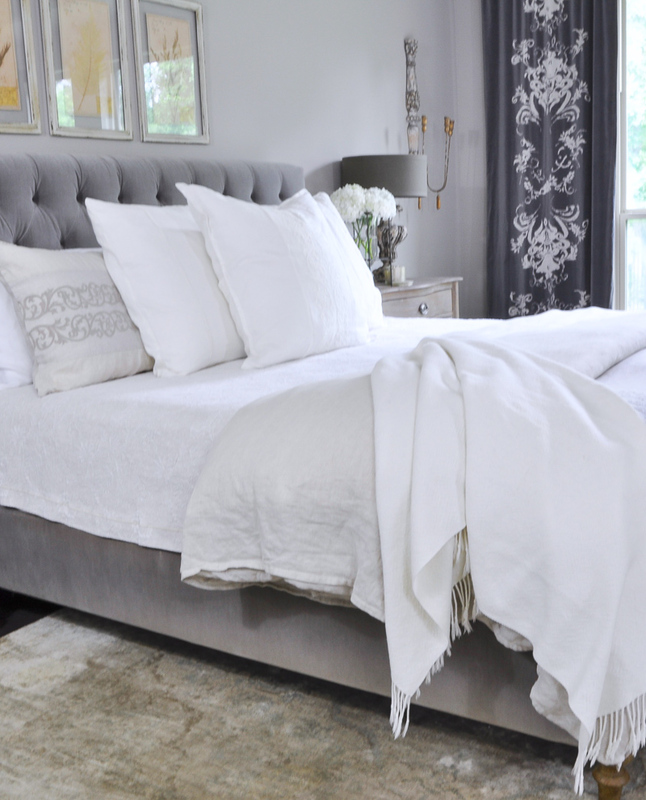 A full, updated bedroom source list can be found here. Yes, thank you for the research! We need a new mattress. Looks heavenly! So glad you found this helpful! Hope you have a wonderful weekend! Hi Jennifer! Thank you for your kind words. It’s from RH. You can find the details on my sources page. Your bedroom is lovely. I always thought that memory foam slept “warm” so have avoided it. How many nights have you slept on this mattress? Can you use both sides of this mattress and can you use it with your existing bed frame? (I tried to message this manufacturer but no answer). Hi Laurie! Thank you! We’ve had the mattress 5 weeks. I haven’t felt warm at night at all. Yes, you can use it with your existing frame as far as I know. Ours worked with our bed, but I know some bed frames are different than ours. Would you like me to pass your email address and questions to my rep? Perhaps you can describe your bed frame to him and see if he can give you a definitive answer. Hello and thank you for your kind words! The paint is a custom blend, but it’s a light taupe color. What a glorious room! So inspired by your exquisite taste! Do you mind sharing where the beautiful curtain panels are from?